As of October 2014, possession of less than 10 grams of marijuana in Maryland will no longer be a criminal offense. While possession of small amounts of marijuana will still be a civil offense, Senate Bill 364, signed into law by Governor Martin O’Malley on April 7, 2014, eliminates jail time and significantly reduces fines related to this issue. According to Governor O’Malley, decriminalizing the possession of less than 10 grams of marijuana is an “acknowledgement of the low priority our courts, prosecutors, and police attach to this issue.” How this is enforced, however, has yet to be seen. If you have been charged with drug possession in Rockville, Gaithersburg, Silver Springs, or surrounding areas of Maryland, please contact the Law Offices of Leon Geller online or by calling (301) 309-8001 to learn more about your rights. While this law decriminalizes possession of small amounts of marijuana, it does not decriminalize possession of paraphernalia. 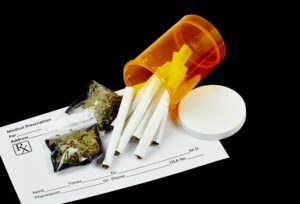 That means you can still face criminal charges for drug possession if you have rolling papers, a pipe, or other items on your person or in your home. Regardless of what charges you are facing, when you are charged with possession you need an experienced drug defense attorney on your side. Rockville attorney Leon Geller is here to help you better understand your rights under new decriminalization laws, and to fight for those rights until justice is served. Our country is at an interesting point as far as marijuana policy goes. With several states, including Maryland, making medical marijuana available and a handful decriminalizing recreational use, understanding your rights can be incredibly confusing. It is important to remember that these laws are often vague and protections are far from guaranteed. It is vital that you seek legal counsel immediately following charges – both criminal and civil – to help ensure you do not incriminate yourself or put yourself in a position where more severe penalties are possible. To schedule a free consultation with our Rockville drug defense attorney, please contact us today. Attorney Geller serves the Maryland communities of Rockville, Derwood, North Potomac, Darnestown, North Bethesda, Garrett Park, Kensington, Gaithersburg, Silver Spring, and Wheaton.